A fishing gift that doesn’t require knowing what type of lure or bait he likes to use! 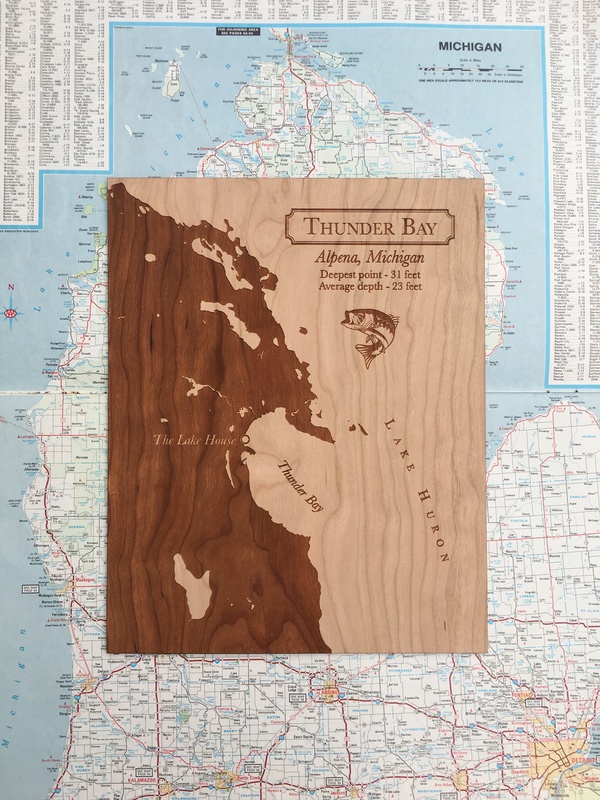 Lake house decor and gifts for men can be combined with this custom designed rustic lake map engraved on wood. Add cool details like the surface area and depth of the lake, a bass fish and maybe the stats of his biggest caught fish story! NOTE: Image shows past lake design. All orders are custom made to order and your specifications. 2. Any cities or areas of interest you want on your design? 3. Any thing else? (dates, names, text, etc). Art size is 8×10 inches. You get up to 3 rounds of revisions/edits. Any revisions after 3 rounds of edits is an additional $10. We will not engrave or ship until we get your written approval, we send digital proofs through the email provided at time of order. Dealing with JWDesignStudio was a wonderful experience. Not only is the quality of their product great, but they were very accommodating with my order and I had no problems in lateness of arrival. I would highly recommend them.